didnt i link u this once? 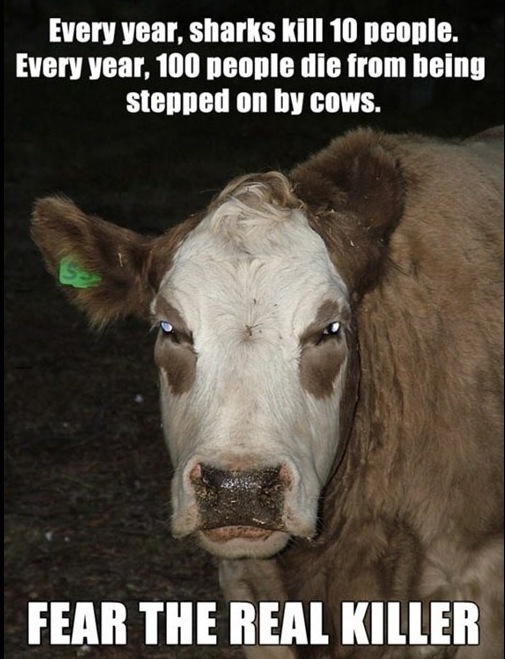 cows.. right.. u know they r more scared of u than they r of them? lol dw.. Unless u eat only potatoes everyday I guess u'll be fine..
A hero's here to save us!